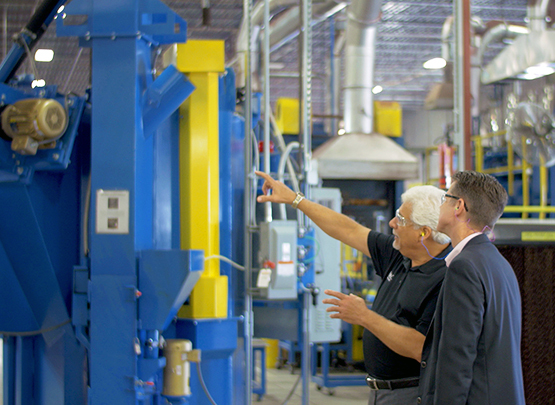 The Oklahoma Manufacturing Alliance is unique in fielding a statewide network of manufacturing coaches and experts located in the communities they serve, readily accessible when needs arise. (See county list below.) Manufacturing Extension Agents provide outreach to companies, often in rural, underserved areas of the state. From marketing to engineering and even financing for capital improvements, the Manufacturing Alliance calls on a comprehensive network of private and public entities to assist manufacturers. Manufacturing Extension Agents work closely with CareerTech centers and other partners to coordinate training and programs that include Six Sigma, Lean, ISO/API/AS, quality, safety, leadership, technical, and government contracting. Manufacturing extension agents come from a variety of backgrounds—from engineering to finance to business development.